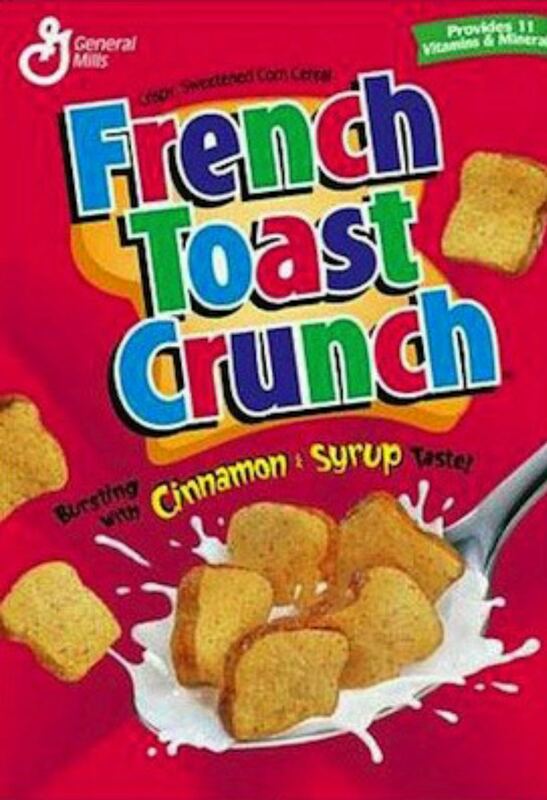 FTC – General Mills is bringing back a “crunch” iteration people have been clamoring for: French Toast Crunch — according to a company press release. It originally appeared on shelves in 1995 and was pulled in 2006. The company says it is doing this because customers have been begging for it. And certainly, many have been. But there’s a larger story to tell here — the decline of cereal sales. As the AP reports, cereal sales have been having a rough go of it lately, with Greek yogurt and breakfast sandwiches gaining more favor with consumers. General Mills actually cut its sales and profit outlook for the year recently. The AP says the company blamed it on persistent sales weakness in the food industry. 5. Cap’n Crunch – would be much higher if it didn’t destroy my mouth. 4. Oreo O’s – the deliciousness of Oreos drenched in a bowl of milk. What’s not to love? 3. Lucky Charms – sometimes the most obvious choices are the best ones. Posted on December 9, 2014, in Average Blog Posts and tagged breakfast. Bookmark the permalink. Leave a comment.